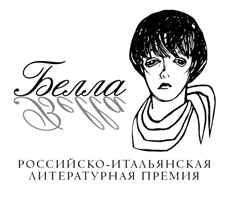 This year's Compass Award competition was dedicated to the poetry of BELLA AKHMADULINA (1937-2010). 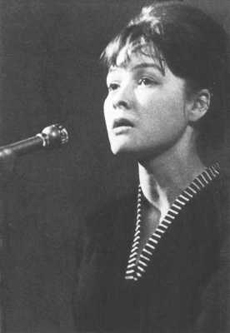 Bella Akhatovna Akhmadulina was a Russian poet and translator who belonged to the Thaw generation of Russian poets that gained prominence during the 1950s, in the aftermath of Stalin’s death. She was famous for appearing at packed stadiums and auditoriums, together with other poets of her generation, Yevgeny Yevtushenko (her first husband), Andrei Voznesensky, and Robert Rozhdestvensky. These poetry recitals represented an act of freedom, a breath of fresh air for thousands of Akhmadulina’s contemporaries. Among her well-known poetry collections were The String (1962), Music Lessons (1970), and Dreams of Georgia (1977). The main themes of Akhmadulina’s poetry are friendship and love, and her verse relies heavily on rhymed quatrains. While not known for political poetry, she was in fact an informal sympathizer of the dissident movement, having assisted in the creation of the scandalous Metropol Almanac in 1979 and voiced support for Andrei Sakharov.